Carlos M. Carvalho studies data science and machine learning methods with applications to social sciences, economics and finance. 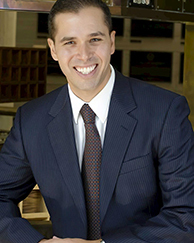 Professor Carvalho earned a bachelor's degree in economics from IBMEC Business School in Rio de Janeiro in 1999. He earned a master's degree in statistics from the Federal University of Rio de Janeiro in 2002 and PhD in statistics from Duke University in 2006. Carlos is currently visiting Booth from The University of Texas at Austin where he is a Professor of Statistics at the McCombs School of Business and the Executive Director of the Center for Enterprise and Policy Analytics.